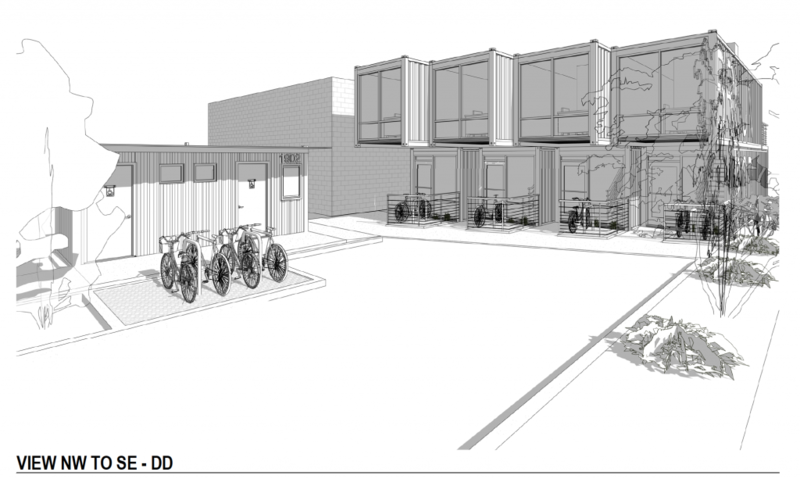 This is a concept with (4) office pods and one restroom pod set on a vacant inner city lot. Affordable office and micro manufacturing space utilizing stacked and offset shipping containers “prefabricated” and shipped to site for assembly. Accessible restrooms in separate modified container required for every (6) six pods. Containers are modified in factory as “prefabricated” and permitted by the State. Units can be used as office as well. Future shipping container designs include retail and residential “pods”, fabricated by a local company.